Researchers at Berkeley Lab’s Joint BioEnergy Institute (JBEI) and the Advanced Biofuels & Bioproducts Process Development Unit (ABPDU) have developed a new polyketide synthase-based platform and prototyped efficient production of potential biofuels, gasoline additives, and commodity chemicals. Microbial production of biofuels and bioproducts is typically carried out using natural or slightly modified enzymes within the metabolic pathway, which can inherently limit the types of molecules that can be produced. Type I modular polyketide synthases (PKSs) are multi-domain enzymes that resemble a modular metabolic assembly line that naturally produces a wide range of unique and diverse molecular structures by combining particular types of catalytic domains in a Lego®-like fashion. This versatile biocatalytic mechanism intrinsically offers a wealth of bioengineering opportunities that scientists can exploit to improve both the rate and yield of the biofuels and bioproducts generated by PKSs. In “Short-chain ketone production by engineered polyketide synthases in Streptomyces albus” published recently in Nature Communications, co-authors Satoshi Yuzawa (JBEI) and Mona Mirsiaghi (ABPDU), present the results of an engineered modular PKS system in the native host Streptomyces venezualae. JBEI and ABPDU researchers were able to demonstrate production of over 1 g/L of C6 and C7 ketones from plant biomass-, a 200-fold improvement over previous efforts. Engine tests, performed in the scope of the Co-Optimization of Fuels & Engines (Co-Optima) project, indicate these short-chain ketones can be added to gasoline to increase its octane. This flexible platform could enable biosynthesis of an array of previously inaccessible molecules, allowing fine-tuning of fuel properties, production of highly branched diesel-range biofuels, and a broad range of commodity chemicals. Metabolic engineering leads to fundamental discovery about cellular respiration. While much is known about how enzymes and molecules are involved in cellular respiration, the understanding of the respiration system as a whole remains limited. Researchers at the Department of Energy (DOE)’s Joint BioEnergy Institute (JBEI) have gained insight into how cellular respiration is affected by the membrane environment in which it occurs. By engineering lipid synthesis to carefully control the membrane composition, researchers found that lipids, which consist of fatty acid molecules and determine membrane viscosity, also tightly control the rate of bacterial and yeast respiration. As lipid synthesis in these hosts is often engineered in order to produce molecules, these findings suggest new ways by which the pathways to produce biofuels and bioproducts could be optimized to maintain proper respiratory function, thereby increasing production. This work was described in a paper, “Viscous control of cellular respiration by membrane lipid composition” which was published in Science on October 25. The research team was led by JBEI’s Chief Executive Officer Jay Keasling, corresponding author and also senior faculty scientist at Lawrence Berkeley National Laboratory. In this study, the researchers determined the relationship of membrane viscosity to cellular respiration. Viscosity, in the context of this paper, refers to how fluid a membrane is, and can fluctuate depending on which fatty acids are present. 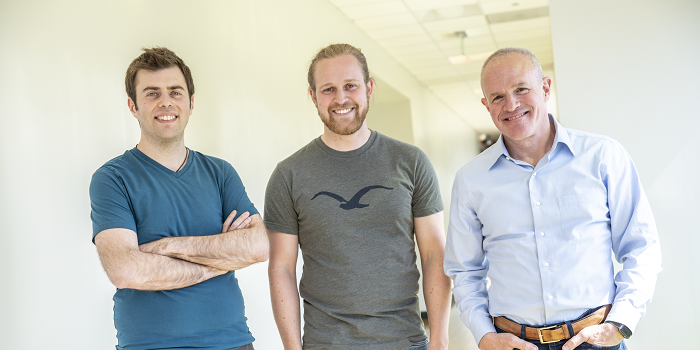 “We were inspired by an old observation that cells have feedback mechanisms that allow their membrane structure to change”, said Itay Budin, JBEI researcher and lead author of the publication. “So we asked ourselves: How will changes in the types of lipids produced by bacterial cells affect their growth and metabolism?” To find an answer, Budin used synthetic biology and metabolic engineering methods to manipulate lipid synthesis and thereby carefully control membrane composition. Lipids are commonly known as fats and oils. The split into these two categories depends on the physical state of the different types of fatty acids molecules at room temperature. For example, there are small chemical differences (double bonds) in the chemical structures of lipid molecules in solid butter and liquid olive oil, and these are responsible for their characteristic physical properties. Similarly, the physical properties of cell membranes, oily structures only a few nanometers thick, is also dependent on the chemistry of their lipid components. In this paper, the team modulated the viscosity of membranes in cells using metabolic engineering, a process by which JBEI researchers regularly use to control the relative levels of different chemical pathways in cells. Simulations of ubiquinone distribution on the surface of a bacterial cell. Budin found that lipids that determine membrane viscosity also tightly control the rate at which bacteria carried out respiration. Cellular respiration occurs through a set of reactions that occur when different enzymes and their substrates collide in the membrane, and viscosity sets the rate at which these collisions occur by random thermal motion (diffusion). Because of this key insight, Budin, working alongside former JBEI graduate student Tristan de Rond, developed a mathematical model for respiration that accounts for the diffusion of its components within the membrane. As inputs, they used quantitative measurements of the abundance and diffusion of the molecular components in the process, which was aided by mass spectrometry work by co-authors Yan Chen, Leanne Jade G. Chan, and Christopher J. Petzold. The team’s model described several aspects of bacterial metabolism, such as how it responds to inhibitors or changes in enzyme concentrations. They then showed that lipids also mediate respiratory rates in mitochondria, dedicated organelles used by all eukaryotic cells for energy production. Thus, lipids could effectively set the ‘speed limit’ by which cells can ‘breathe’ through their effects on membrane diffusion. JBEI is a DOE Bioenergy Research Center funded by DOE’s Office of Science, and is dedicated to establishing the scientific knowledge and new technologies to transform the maximum amount of carbon available in bioenergy crops into biofuels and bioproducts. This work was also supported by funding from the National Science Foundation. The New Yorker article “What What Termites Can Teach Us” talks about the termites ability to turn grass into energy. The article mentions Jay Keasling, JBEI’s Chief Executive Officer, as one of the synthetic biology leaders, and quotes Héctor García Martín, JBEI’s Deputy Vice President of Biofuels and Bioproducts. Andria Rodrigues, a postdoctoral fellow at JBEI’s Biofuels and Bioproducts Division, received an award for Exceptional Early Scientific Career Achievement for her transformational work in microbial biochemistry and enzyme discovery that supports Berkeley Lab missions related to energy and sustainability. A ceremony honoring all of the 2018 recipients will be held in November at Berkeley Lab. In this “Behind the Paper” blog post, JBEI’s Hector Garcia Martin talks about the challenges tackled in the paper “A machine learning approach to predict metabolic pathway dynamics from time-series multiomics data” which was published this week in npj Systems Biology and Applications. The research is published May 29 of the journal Nature Systems Biology and Applications. “But there’s a significant bottleneck in the development process,” said Hector Garcia Martin, group lead at the DOE Agile BioFoundry and director of Quantitative Metabolic Modeling at the Joint BioEnergy Institute (JBEI), a DOE Bioenergy Research Center funded by DOE’s Office of Science and led by Berkeley Lab. The research was performed by Zak Costello (also with the Agile BioFoundry and JBEI) under the direction of Garcia Martin. Both researchers are in Berkeley Lab’s Biological Systems and Engineering Division.